Die Kapillarelektrophorese (CE) ist heute in biochemischen Laboratorien noch nicht als Routinemethode zur DNA-Trennung etabliert, obwohl sie diverse Vorzuge gegenuber den derzeitigen Methoden besitzt. In diesem Band stellen verschiedene Wissenschaftler die theoretischen Aspekte der Trennung von Oligonucleinsauren mit der CE, die instrumentellen Grundlagen und deren Grenzen und schliesslich die praktische Anwendung in der Biochemie und Molekularbiologie vor. 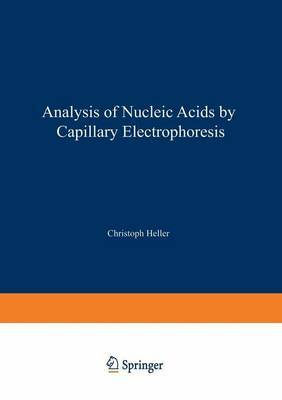 This book on capillary electrophoresis is unique in its focus on the separation of nucleic acids. The importance of electrophoretic separation in every molecular biology laboratory justifies this specialization, which is also reflected in the development of instrumentation. This book is aimed to help to implement this rather new and promising technology in the biological laboratories and to help to overcome typical problems that can occur when starting with a new technique. It should also trigger further development in the field. It covers the theoretical background as well as practical examples of usual applications. The authors are all experts in their field, having many years of experience with capillary electrophoresis and their application to nucleic acids.